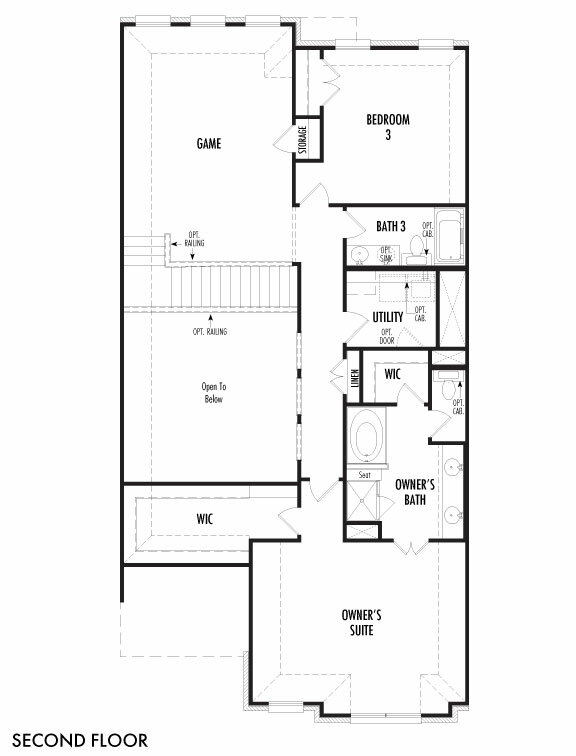 Beautiful plan with 3 bedrooms, 3 baths and spacious living, dining and kitchen. 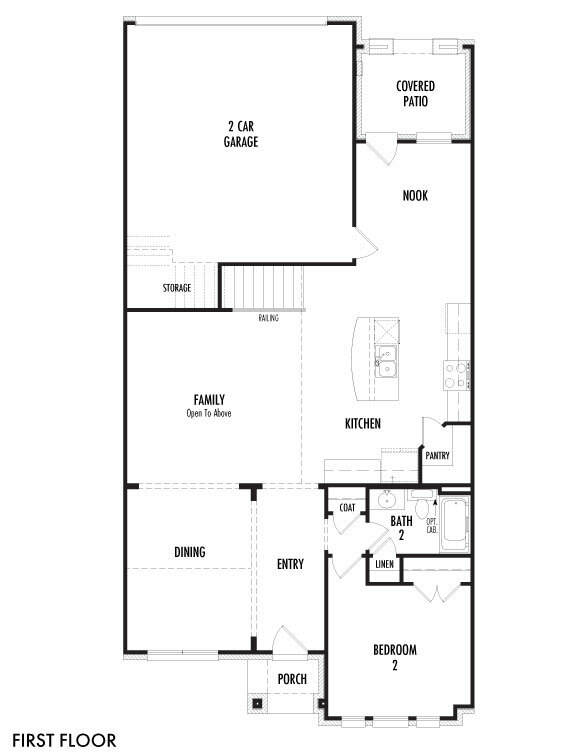 This floorplan has an open concept and great flow, and not only will you have a breakfast nook but formal dining off the entryway as well. The family room has soaring ceilings, open to the second floor, which opens into the California kitchen. The gorgeous kitchen includes a large island and spacious walk-in pantry. The first floor has one bedroom and full bathroom as well as extra storage space under the stairs. The second floor has a spacious utility room as well as the third bedroom, full bathroom and game room with a storage closet. Large owner’s suite on the second floor includes two large walk-in closets, dual vanity sink, garden tub and separate shower.